Teaching your Friend to Ski – Bad Idea? I wanted to stop on the ski trail and say something to Joey (not his real name, well it could be), but I resisted – so now I am venting. He was showing his buddy (wearing jeans, a Patriot’s hoodie and rental gear) how to move his skis from a snowplow to a parallel turn by picking his friend’s ski up and forcing the issue, literally. Awkward to say the least, then Joey’s newby ski friend asks “when do I get to use these poles?” and Joey says, “we will get to that when I show you how to stop.” Yikes. Awkward escalated to dangerously bad advice. Good ski advice, if you like your friend (not just facebook like, but genuine camaraderie, care and concern kind of like) do not teach him or her how to ski. There is the obvious risk of skiing injury (to them or to you if they get frustrated and poke you with that ski pole). But also you don’t have the proper training, tools or techniques to start them off with the right skills and shorten their learning curve. You may however shorten their temper and tolerance for you and the band new sport. Better to get him (or her) a lesson and meet up for lunch or après ski. 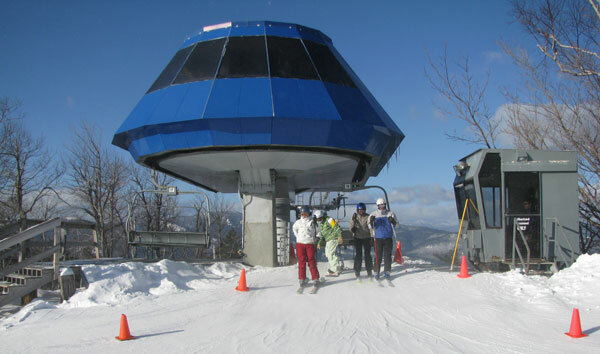 Free Ski Lesson news, January is Learn to Ski or Ride Month with special deals and promos all over New England and at Western Ski Resorts. Ski resorts participating offer annual deals like $29 learn to ski or snowboard packages including a beginner lift ticket, equipment rental and a professional lesson. You must sign up in advance online typically. Other resorts offer Bring a Friend for a Learn To Ski or Snowboard Package and you ski free. Let the ski pros teach your friend, and only one reason to try and teach them yourself – if you want to send your friendship downhill quickly. Meet your buddy, boyfriend, girlfriend, at après ski instead!